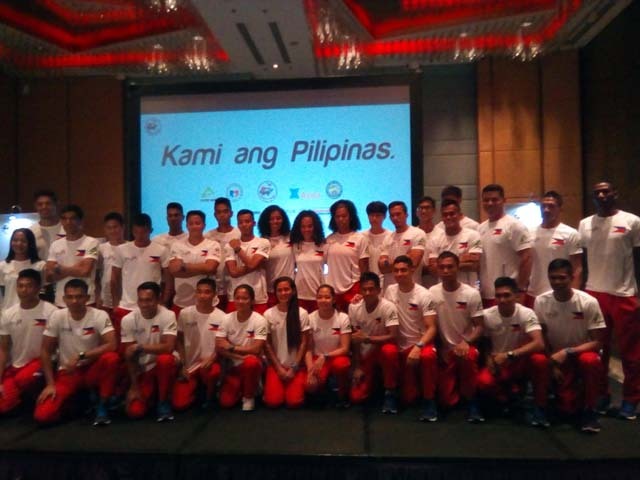 Philippine Athletics Ready for 29th SEAG | JustRunLah! A PUMPED up Philippine Athletics Team will go all out to the 29th Southeast Asian Games in Kuala Lumpur, Malaysia next week with the goal of improving on its five-gold medal haul and fourth place overall finish from the last edition of the games two years ago in Singapore. This was the unified sentiment of the team during their send off party held last Tuesday (August 15) at the Marriott Hotel Manila in Pasay City. The Nationals’ campaign will be spearheaded by double gold medallist and Southeast Asia’s Fastest Man Eric Cray who will defend his titles in the 100-meter dash and 400-meter hurdles. He will also join the 4×100 and 4×400-meter relay teams in hopes of a four-gold harvest. Other returning champions are Christopher Ulboc in the 3,000-meter steeplechase and Kayla Richardson who topped the 100-meter dash but this time will vie in the 200 meters and the relays along with her twin sister Kyla Richardson. The other gold medallist from two years ago, hammer thrower Caleb Stuart, is skipping this year’s games. The Philippines also brought home seven silvers and nine bronzes to earn fourth spot in the overall athletics standings. The first three places went to Thailand (17-13-9), Vietnam (11-15-8) and Indonesia (7-4-4). 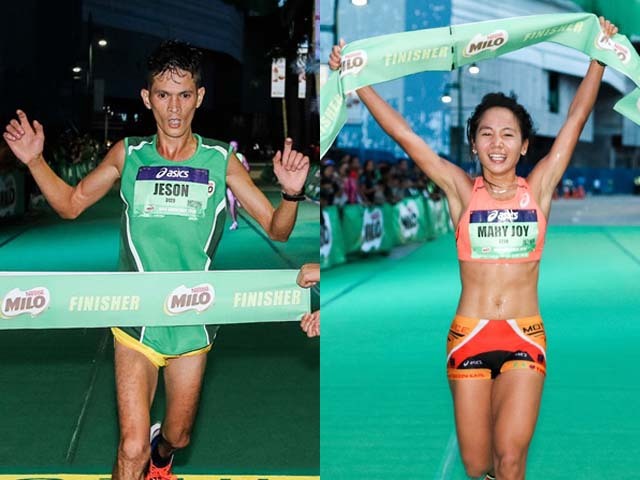 Jeson Agravante and Mary Joy Tabal will aim for gold in the 29th SEA Games marathon. Other athletes sure to make some noise in the Malaysian capital are Rio Olympics veterans Marestella Torres-Sunang in the long jump and Mary Joy Tabal in the marathon together with pole vaulter EJ Obiena, Patrick Unson in the 110-meter hurdles and the men’s 4×100-meter relay team. Tabal and Jeson Agravante will kick of the team’s campaign with the 42.195-kilometer marathon on August 19. The other members of the team are Anfernee Lopena (100 meters), Archand Christian Bagsit (200 meters and relays), Clinton Bautista (110-meter hurdles), Edgardo Alejan (400 meters), Elbren Neri (1,500 meters), Francis Medina (400-meter hurdles), Immanuel Camino (3,000-meter steeplechase), Marco Vilog (800 meters), Michael del Prado (4×400 meter relay), Trenten Beram (200 meters and relays), Janry Ubas (long jump), Tyler Ruiz (long jump), Manuel Lasangue (high jump), Mark Harry Diones (triple jump), Ronnie Malipay (triple jump), Arnel Ferrera (hammer throw), Kenny Gonzales (javelin), Melvin Calano (javelin) and Aries Toledo (decathlon). Completing the women’s team are Zion Corrales Nelson (100 at 400 meters and relays), Eloiza Luzon (relays), Emily Jean Obiena (pole vault), Riezel Buenaventura (pole vault), Rosie Villarito (javelin), Evalyn Palabrica (javelin), Katherine Santos (long jump and relays), Rhea Joy Sumalpong (discus) and Narcisa Atienza (heptathlon). 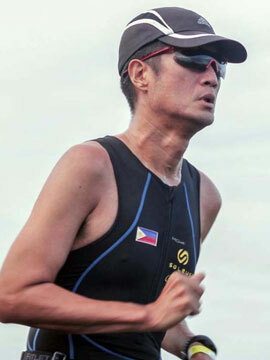 Designated as head coaches are Dario de Rosas and Sean Guevara with specialized coaches Jojo Posadas and Joeffrey Chua for sprints and hurdles, John Lozada and Rene Herrera for long distance running, Joebert Delicano for jumping, Danilo Fresnido for javelin and Emerson Obiena in pole vault together with team consultant Rohsaan Griffith. PATAFA Secretary-General Reynato Unso, who believes the Philippines is the team to beat, will be the head of delegation while PATAFA Marketing Communications Director Coach Edward Kho will serve as team manager. Also throwing their support to the National Athletics Team are the Philippine Sports Commission, Ayala Corporation, UCPB Gen, Cherrylume Corrugated Sheets and Marriott Hotel Manila. Social media users are invited to cheer for the team by using the hash tag #teamPHathletics.